Chemistry Guru's A Level H2 Chemistry Tuition for JC2 and IP Year 6 students is a proven program with excellent results to prepare students well for A Levels. All classes are conducted personally by Maverick Puah at Bishan Central, within walking distance from Bishan MRT Station. Please choose one of the above timeslots. We also offer online classes for JC2 topics! 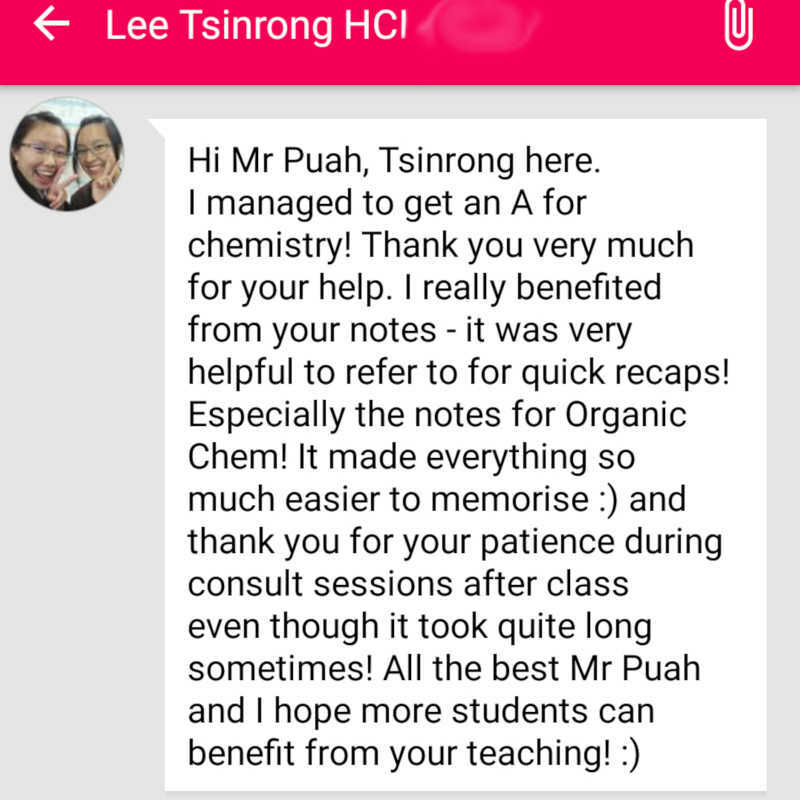 Learn H2 Chemistry anytime, anywhere at 50% of the cost of conventional class tuition. Find out more information about our online tuition. Read more information about the changes in the new H2 Chemistry syllabus (Subject Code 9729) and what students can expect. Fees are $400 for a four-week month and $500 for a five-week month. Register by this month and enjoy a promotional locked-in rate of $360 for a four-week month and $450 for a five-week month! Fees are payable on a monthly basis, instead of termly basis, so parents do not have to fork out a huge sum of money for upfront payment. There are no additional material or administration fees payable. Witness how Chemistry Guru makes Chemistry simpler for hundreds of students since 2010. Sign up for a trial lesson for $50 only (half price promotion)!